Oh No. We're sad to see you go! So this is goodbye.. But before you go, could you tell us why you're leaving? ”I attended Galvanize’s webinars and I was impressed by the way they would share information. They look at helping every student and not turning it into a paid relationship only. 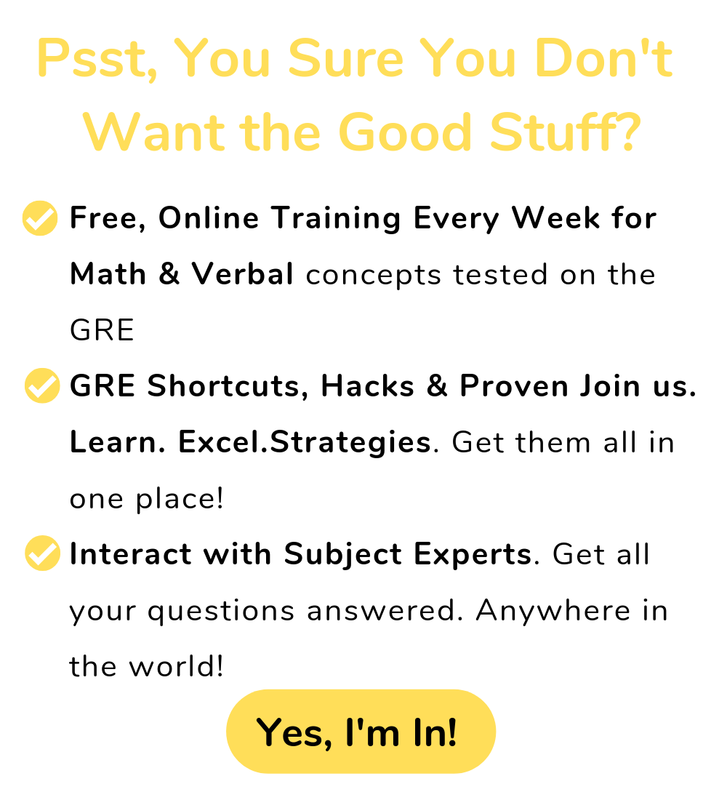 ”Every Wednesday, a live webinar conducted by an expert will discuss helpful tips to tackle specific aspects of your GRE. This was very helpful for me in the long run.